Physio Wellbeing holds a variety of sessions at our physiotherapy clinics, or you can opt for a home visit. 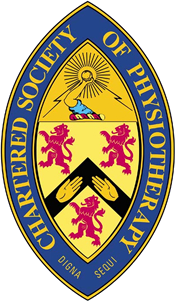 If this is your first physiotherapy clinic session and you are not quite sure what to expect, here is a brief overview of the process. Your initial assessment will involve a discussion with your personal physiotherapist. This can last for up to an hour and will include your first treatment. You will be asked questions about your symptoms and any pain or discomfort that you may be experiencing. We do not charge extra for your initial assessment and this will cost the same as your treatment sessions thereafter which will usually last for 45 minutes. Each will be tailored to suit a client’s specific symptoms, so if a longer session is required, your physiotherapist will discuss this with you. Once your therapist has a good idea of what is wrong, they will discuss this with you before carrying out a full session of treatment upon the affected parts of the body. This could be massage, gentle manipulation of joints or a mixture of the two, dependent upon what is causing your symptoms. A range of physical treatments may also be recommended for you to carry out at home, such as exercises to help restore function and movement. It is advisable to wear loose comfortable clothing so that you feel relaxed and comfortable throughout the length of your physiotherapy clinic session. Dependent upon the part of your body that requires treatment, you may be asked to remove some of your outer clothing to allow your physiotherapist good access to the affected area. You have no need to worry about this as your privacy will be respected at all times. Contact our clinic today and arrange your physiotherapy clinic session to suit you.